Bollywood superstar Shah Rukh Khan underwent a successful shoulder surgery at the Breach Candy hospital in south Mumbai Monday and will be discharged in a couple of days, a source close to the actor said. "Shah Rukh is fine, he will be discharged after a few days," said a source close to the actor after the surgery ended in the evening. Close friends like Farah Khan were there with the actor and his family. A few days before the surgery, Shah Rukh had told reporters that he would "get back to work within two to three months" of his surgery. The actor had to undergo an arthroscopic surgery for a nagging pain in left shoulder. Though he had planned to fly to London for the surgery, he chose to get it done in Mumbai under the guidance of Sanjay Desai, the orthopaedic surgeon at Breach Candy. Shah Rukh's date for the surgery got postponed due to his movie commitments. He had injured his shoulder a long time ago, but the condition aggravated in December last year. He managed with physiotherapy sessions. Ignoring the pain he flew to Los Angeles for Karan Johar's My Name Is Khan. 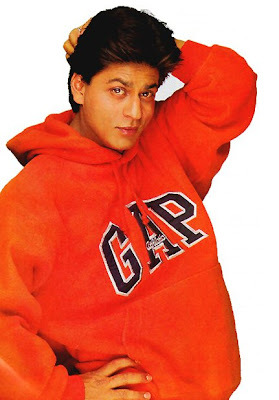 A source said: "For Shah Rukh, the last few months have been quite busy professionally. There was Rab Ne Bana Di Jodi promotion as well as the shoot of Dulha Mil Gaya. Then he couldn't have backed out of My Name is Khan, which had anyways been pushed ahead by a few months. "Moreover, he had to return to India for the publicity of Billu. Though doctors had suggested a surgery on an ASAP note, he didn't want the film to suffer. So, even with a sling on, he went through the entire promotional campaign. It was painful but he is passionate about his films and kept smiling." In 2003, the actor had undergone a surgery in London for back pain.